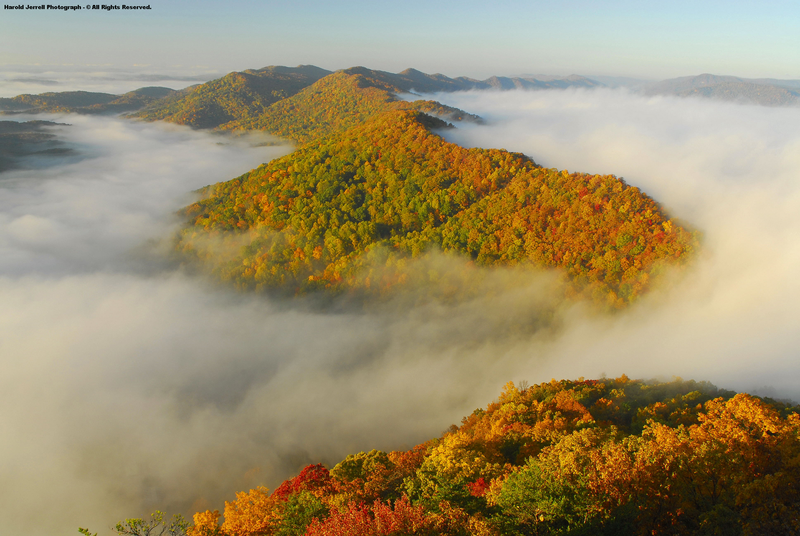 "The Appalachian upland has been continuously available for forest development since the origin of angiosperms, now the most important constituents of deciduous forest. 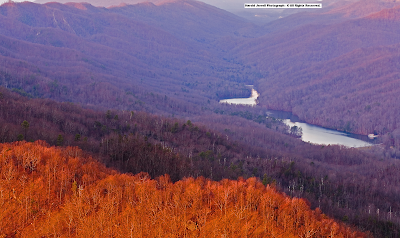 Its central part, especially the western slope of the unglaciated Appalachian upland, is remarkable for the diversity of aspect of its forest, which results from the large number of species and innumerable variations in groupings of species. Here is preserved a large remnant of ancient forest, of the forest of the Tertiary age." 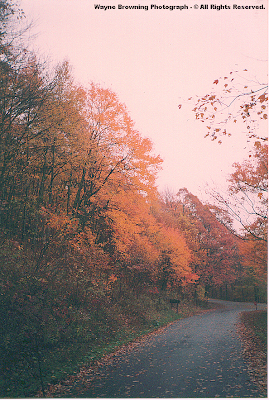 The ancient High Knob Landform, of which Cumberland Gap is most famous, rests at the epi-center of forest diversity in North America with a richness and rarity of limited range species that extends from the surface into great subterranean depths ( the surface & subterranean being connected in intimate and extraordinary ways across the entire High Knob Landform ). 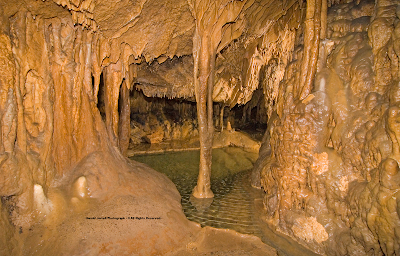 The High Knob Landform contains the deepest cave system east of the Rockies & north of Mexico on the North American continent, and the longest cave system in Virginia ( one of more than 1,000 caves across this great landform of the Upper Tennessee & Cumberland river basins ). 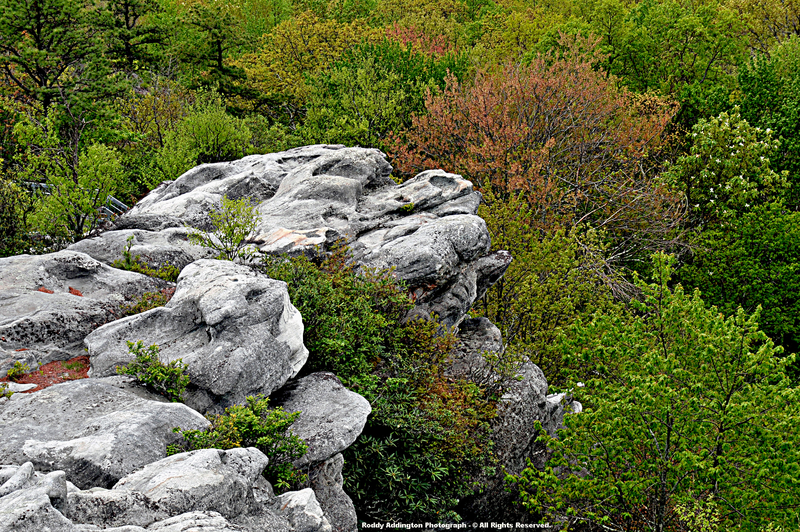 [ Visible above, in upper left background, are overturned rock stratas characteristic of the northwestern mountain arm of the High Knob Landform ( from Norton to beyond Cumberland Gap ). Cliffs overturned to the northwest, similar to those above, are visible along U.S. 23 just prior to reaching Powell Valley Overlook ( heading south from the City of Norton ) ]. "Glaciation was a major event affecting the forests of eastern United States. Only 30,000 years, more or less, have been available for the revegetation of the glacially denuded land; only a fractional part of this time has been available for deciduous forest development. This is in contrast to the millions of years of undisturbed occupancy of the unglaciated land to the south." DNA studies on specific groups of organisms suggest that the High Knob Landform was a major refugium during Pleistocene ice ages. This being supported and further reinforced by discovery of its subterranean vastness! That the Clinch, Powell, and Cumberland river basins collectively represent the greatest assemblage of freshwater aquatic diversity in all of North America is no mistake, as this rich array of aquatic species is a direct reflection of both the surface and subterranean diversities which have developed throughout this ancient mountain landform during a span of millions of years! 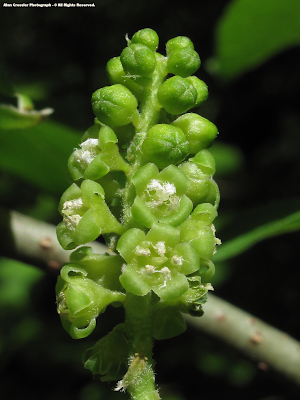 The following species list, and floral listings on this website, are based upon a composite of works which are both local and regional in scope. State Natural Heritage Programs of Virginia, Kentucky, and Tennessee. 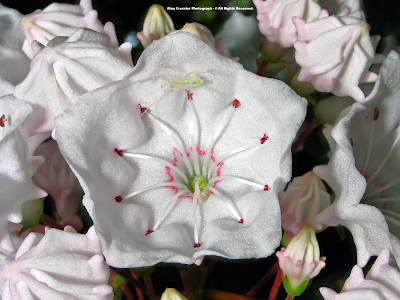 Digital Atlas of the Virginia Flora. The University of Tennessee Herbarium. 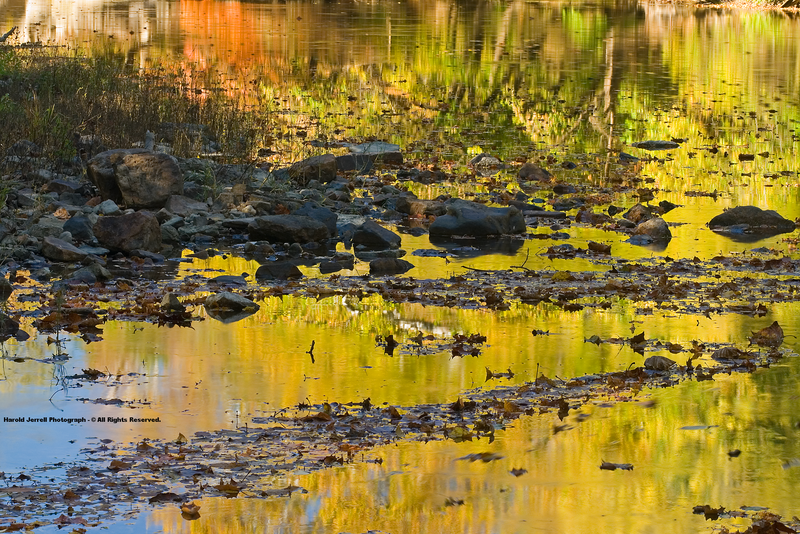 The Nature Conservancy & Clinch Valley Program of Southwestern Virginia. Peake, Dwight E., ( 1980 ). Vascular Flora Of Little Stony Creek. A Thesis Presented to The Faculty of the Department of Biology, The College of William and Mary in Virginia. Davis, Richard V., ( 1979 ). Vascular Flora of Natural Tunnel State Park. Scott County, Virginia. A Thesis Presented to the Faculty of the Department of Biological Sciences, East Tennnessee State University. Biological and Ecological Survey of the Martin's Fork Wild River-Croushorn/Howard Properties, Harlan County, Kentucky. 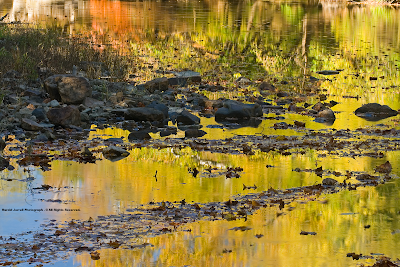 Kentucky State Nature Preserve Commission and Kentucky Division of Water. June 2003 ( preliminary report ). Cumberland Gap National Historical Park. Work in Progress. 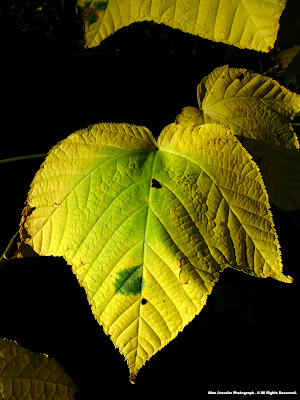 Richard Kretz ( Naturalist & Photographer ). 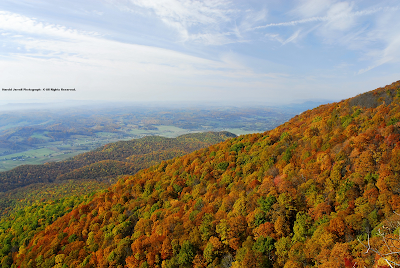 The Pinnacle NAP, Hidden Valley, and High Knob Landform Biodiversity Studies. Work in Progress. Browning, W.W., ( 2012 ). 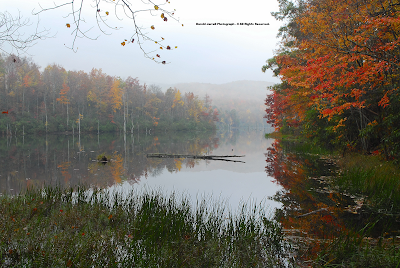 Biodiversity and Climatology of the High Knob Landform: With Special Emphasis on the Clinch and Powell River Watersheds of the Upper Tennessee River Basin. Work in Progress. Please note: This website is set up to be best viewed using Google Chrome and Internet Explorer 9.0 . A listing of tree, shrub, and sub-shrub species documented across the High Knob Landform counties follows as a reference for future works to revise ( the following list being incomplete ). [ All species in alphabetical order by scientific name ]. "Mixed deciduous forest occurs throughout the unglaciated Appalachian upland, and to some extent beyond it. 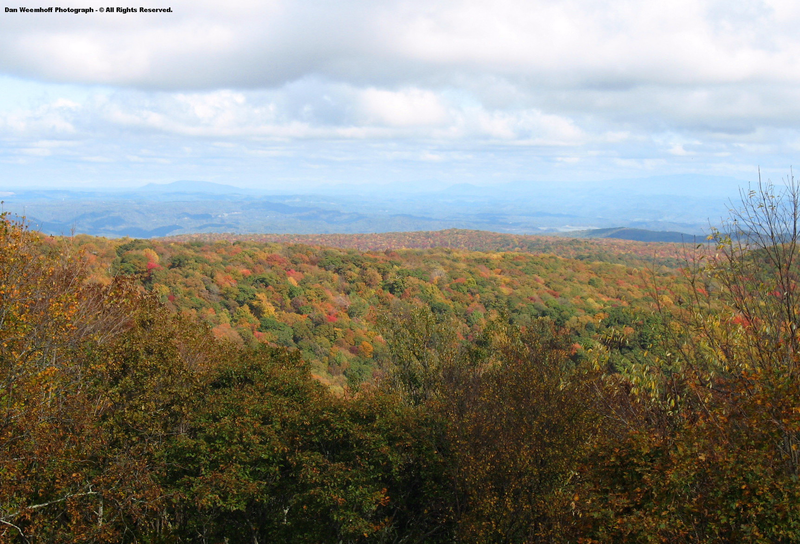 However, only in certain parts, especially the Cumberland Mountains and southern Allegheny Mountains, and adjacent Cumberland and Allegheny Plateaus, does the mixed forest that we know as mixed mesophytic forest prevail." 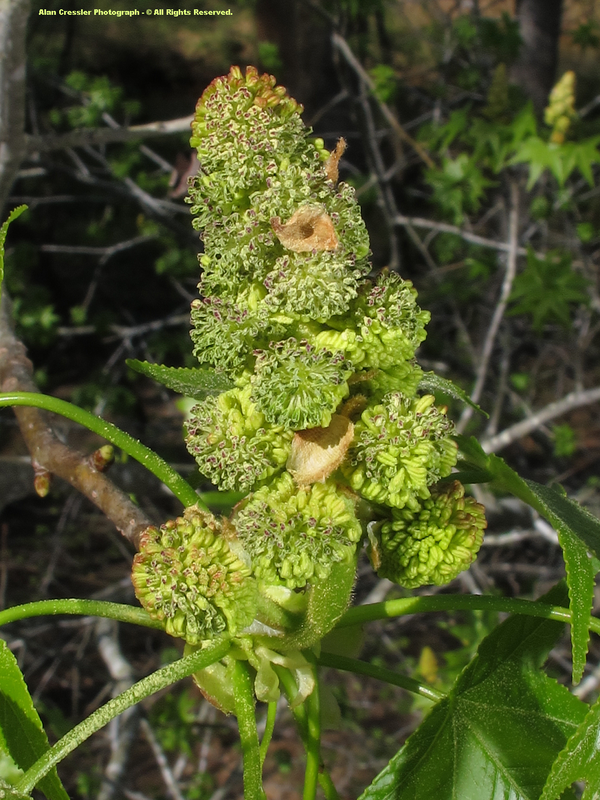 [ Shellbark Hickory is reported as a species within Cumberland Gap NHP, but the Digital Atlas of the Virginia Flora questions if any are further east in Virginia ]. 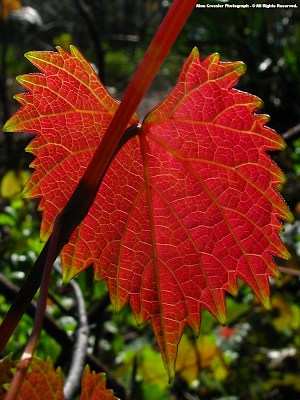 "The mixed mesophytic association occupies a central position in the deciduous forest. This is a region of moderate to high rainfall, of cold, though not extreme winters. 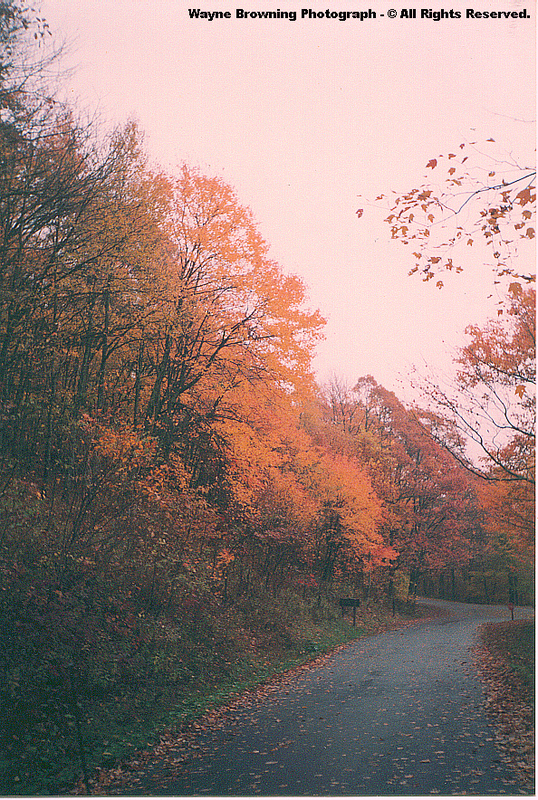 The area of its best development, the Cumberland Mountains and Cumberland Plateau and southern Allegheny Mountains, is an area of mature topography...........within this area the complex mixed forest displays many segregates demonstrating the sensitiveness of its constituents to minor variations in environment - microclimates and soils, both of which are affected by physiographic history." ( some have also been introduced into the landform ). 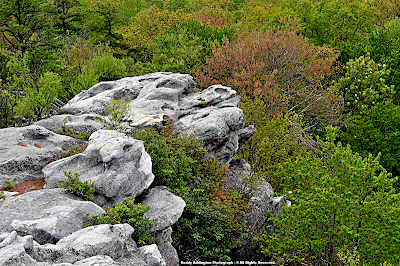 If first impressions count, this tree & shrub list should collectively paint a most grand picture of the ancient landscape of The High Knob Landform! 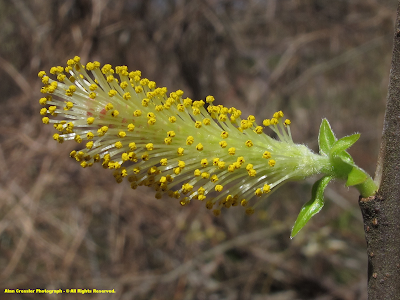 More than 280 species of trees & shrubs have been documented, to include a select few which fall between being herbs and true shrubs ( more than 320 species when including the woody vines ). The classification of these as advised by Gary Fleming, Vegetation Ecologist for the Natural Heritage Program of the Virginia Department of Conservation & Recreation, being based upon whether or not they possess a suffrutescent, or woody, base ( and not upon how tall they are in stature ). Intermediate species, like Black and Sugar Maple crosses, are also included. 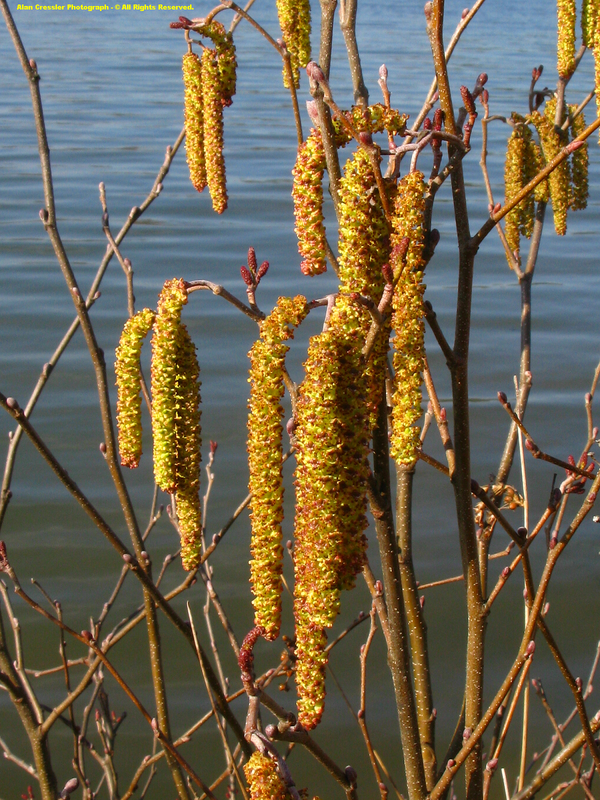 Numerous species have been introduced to the United States, and are not native, such as Tree of Heaven, Mimosa, Rose of Sharon, Multiflora Rose, the Privets, and Olives. 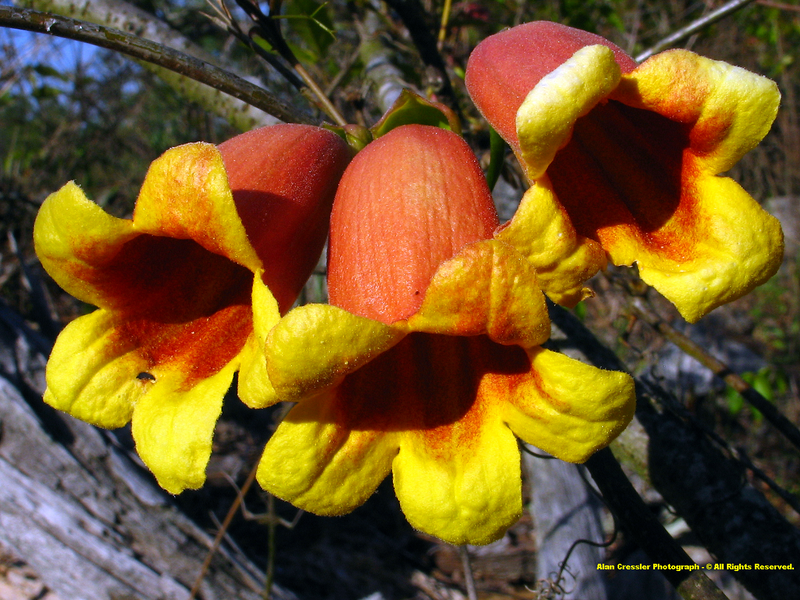 While some of these exotics are pretty flowering plants, many are also invasive and can become a significant threat to native species if not controlled. 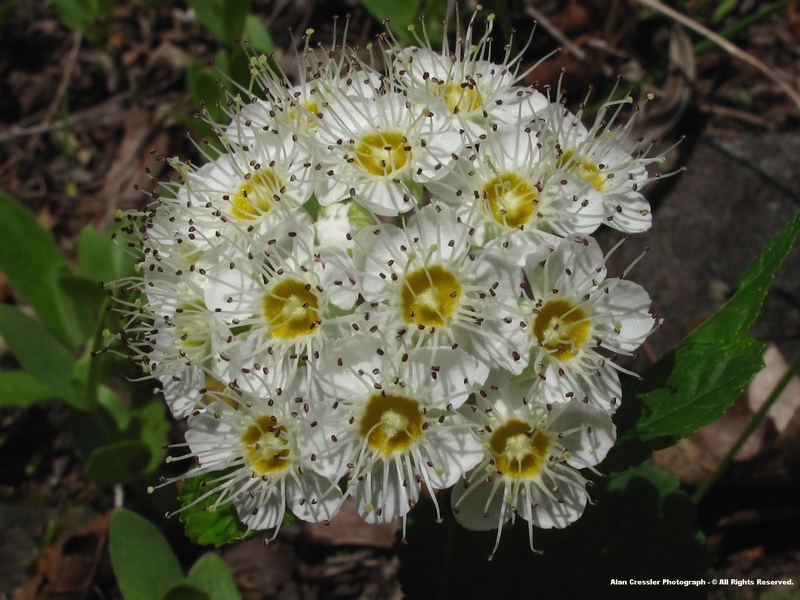 The High Knob Landform picks up additional floral species within its warmer, low elevations of northern Tennessee which are in opposition to the colder climate northern woods of upper elevations in the High Knob Massif and across the backbone of Cumberland Gap National Historical Park. Numerous notably rare tree & shurb species occur within the High Knob Landform counties of Virginia, Kentucky, and Tennessee. 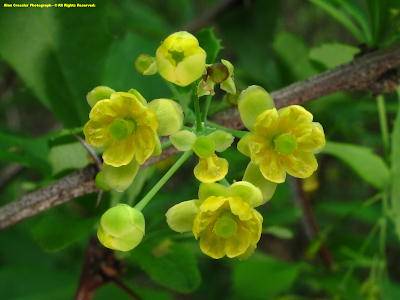 American Barberry is considered to be very rare and imperiled within Tennessee. Scott County, Va., is one of only seven counties along and west of the Blue Ridge to be listed with Blue Huckleberry on the Digital Atlas, a variety which is a distinct mountain disjunct that is most widespread across the Virginia Tidewater. 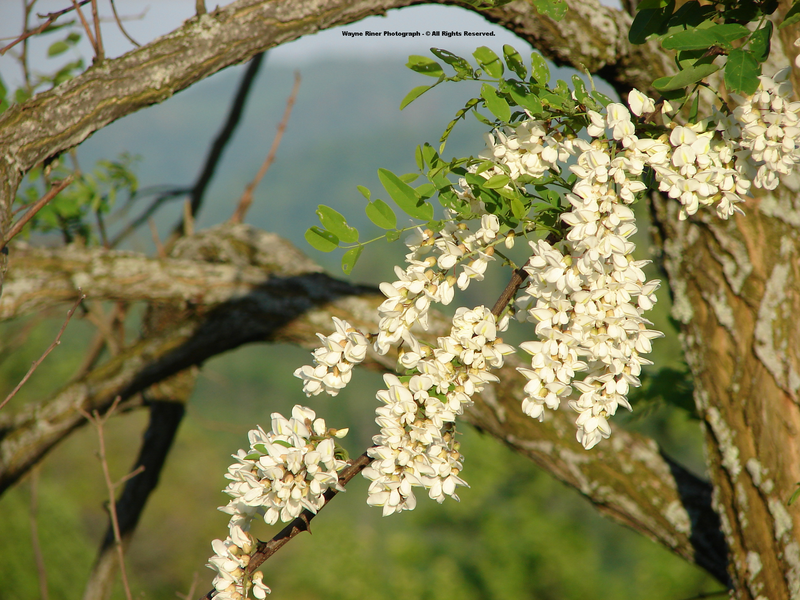 Dickenson County, Va., is the only county joining the High Knob Landform to currently be documented with locally rare Box Huckleberry. 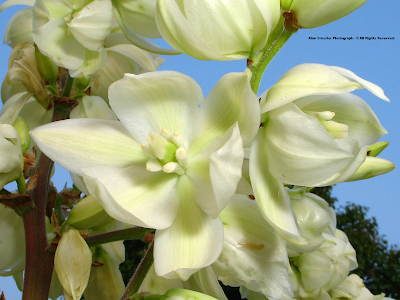 It is endangered in Maryland & Pennsylvania. 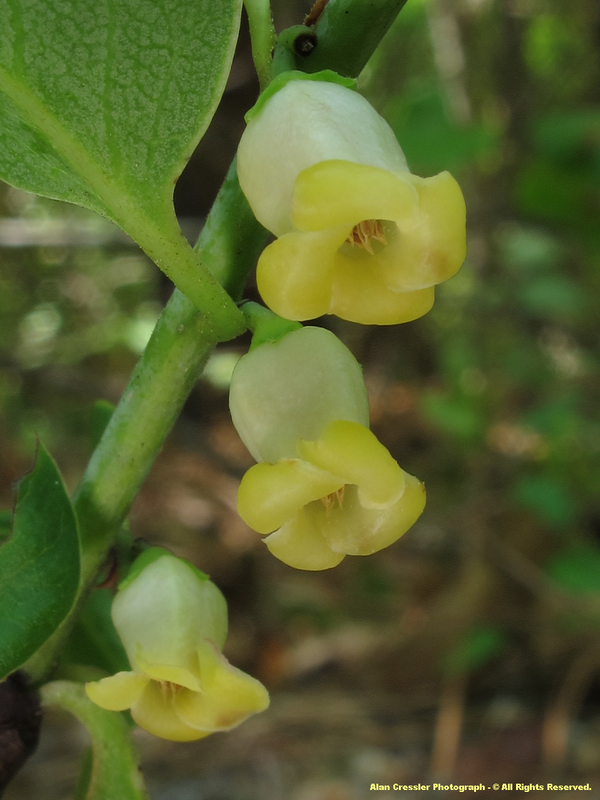 Bear ( Mountain ) Huckleberry was recently discovered in Cumberland Gap NHP to mark a state record for Kentucky, being significantly disjunct ( separated ) from populations observed within North Carolina and Tennessee. 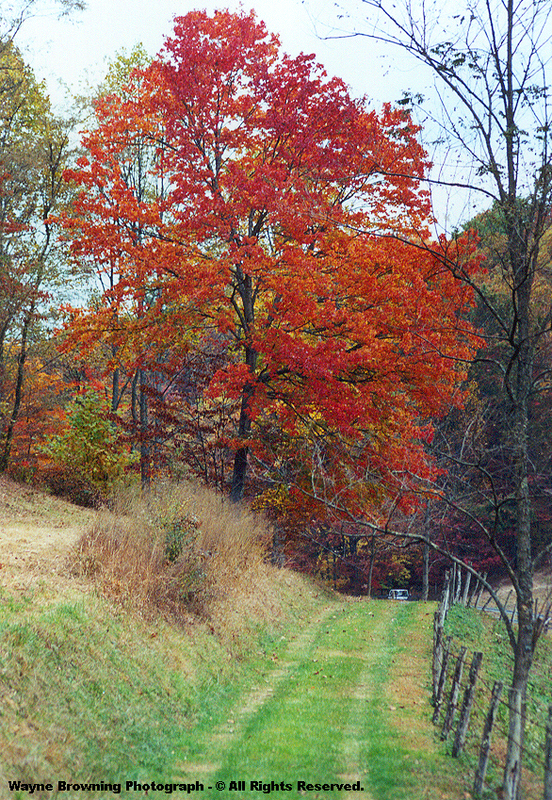 Butternut or White Walnut is a rare and uncommon species in both Kentucky and Tennessee. Highland Doghobble, a perennial evergreen shrub documented first by Dwight Peake during his floral study in majestic Little Stony Basin of the High Knob Massif, is a Virgina Natural Heritage Program ( VANHP ) critically imperiled to imperiled species in Virginia ( a very limited range in the state ). It is drought intolerant and requires very mesic settings. Mountain or Wild Honeysuckle is listed as an endangered species in Kentucky, and is of special concern within Tennessee. 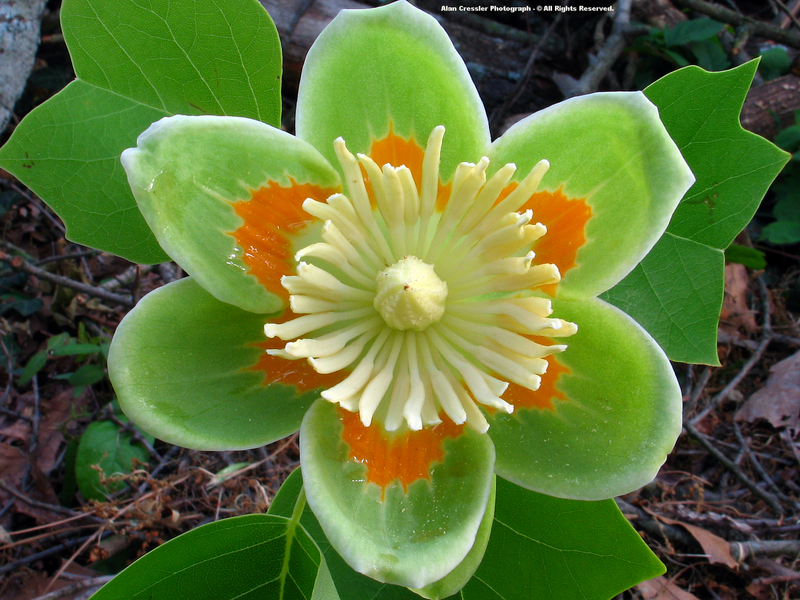 Bigleaf Magnolia, a VANHP critically imperiled species, has an even more limited distribution and is Atlas listed as being native to only Lee County in all of Virginia. 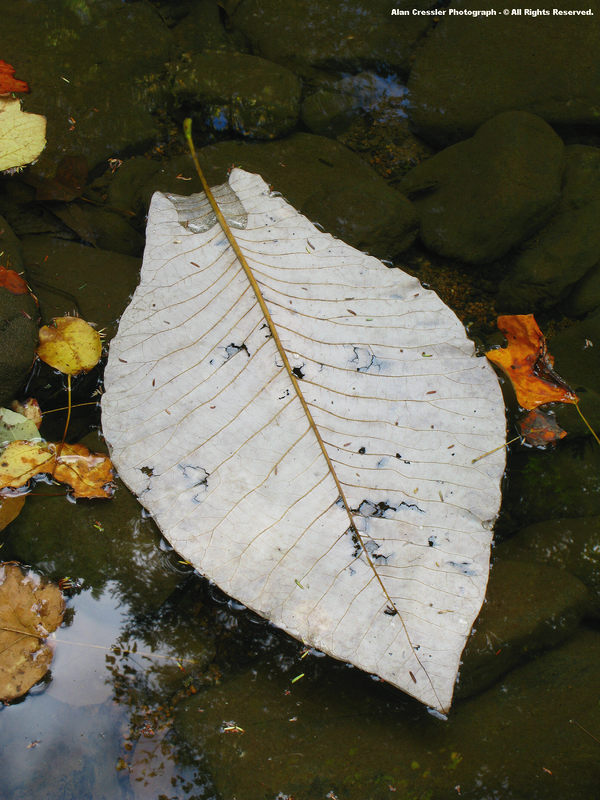 Bigleaf Magnolia, as it name might imply, has the largest leaves of any tree species in North America. It was also documented during the Martin's Fork Wild River Study, within the northwestern flank of the High Knob Landform. 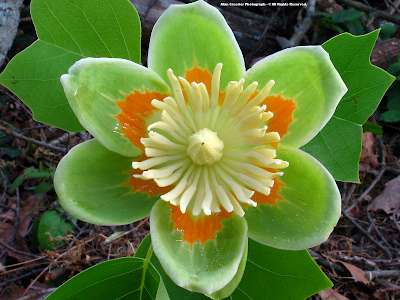 [ Bigleaf Magnolia is endangered at the northern and western fringes of its range. It may also occur locally within portions of Wise County, along the northwestern flank of the High Knob Landform ]. 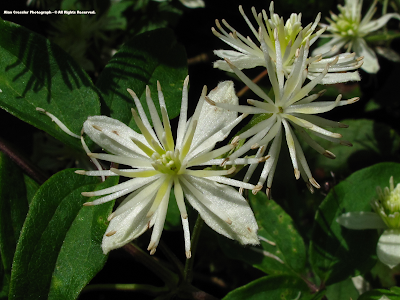 Canby's Mountain-lover, a species of concern that is both globally and state imperiled, grows primarily on limestone or dolostone cliffs with northern exposures. It is a notable evergreen subshrub that is endangered in Tennessee, Ohio, Maryland, & Pennsylvania. It is a species which is threatened in Kentucky. Silverling is endangered in Kentucky and a threatened species of Tennessee. It is very rare across far southwestern Virginia. 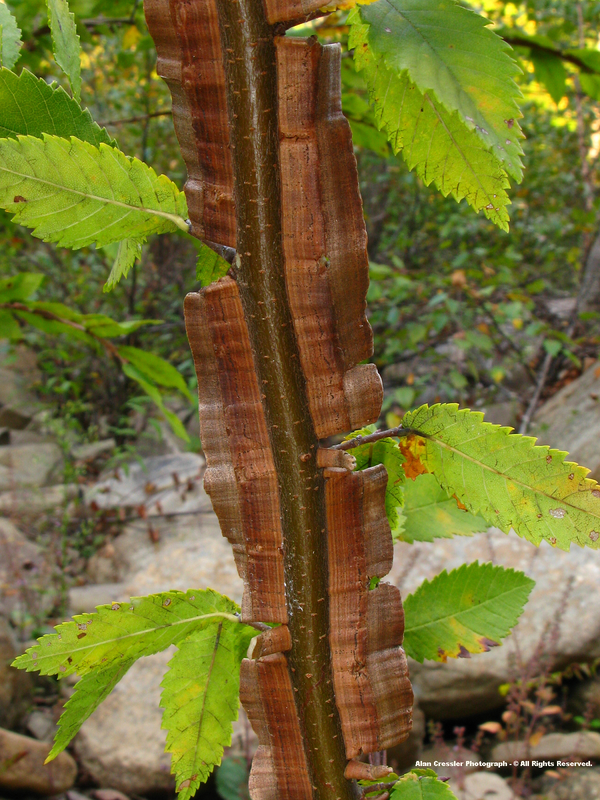 Alderleaf Buckthorn is a extremely rare and critically imperiled species. Smooth Azalea is a VANHP imperiled species that is listed on the Digital Atlas of the Virginia Flora for only Wise, Grayson, Carroll, and Giles counties in the western mountains. 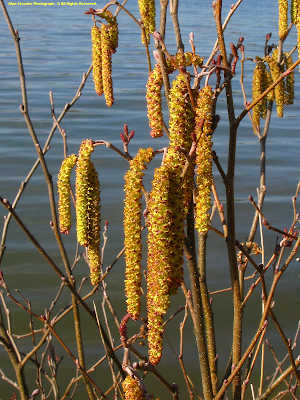 Sandbar Willow is a extremely rare and critically imperiled species in Virginia, being at the eastern edge of its range. 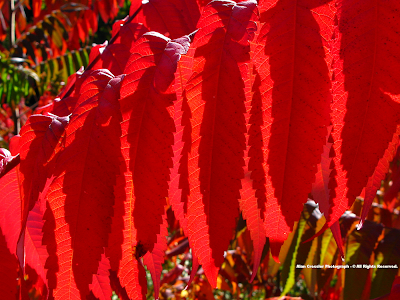 Red Elderberry is a colorful tree of mid to upper elevations, and is listed as endangered in Kentucky and Illinois. 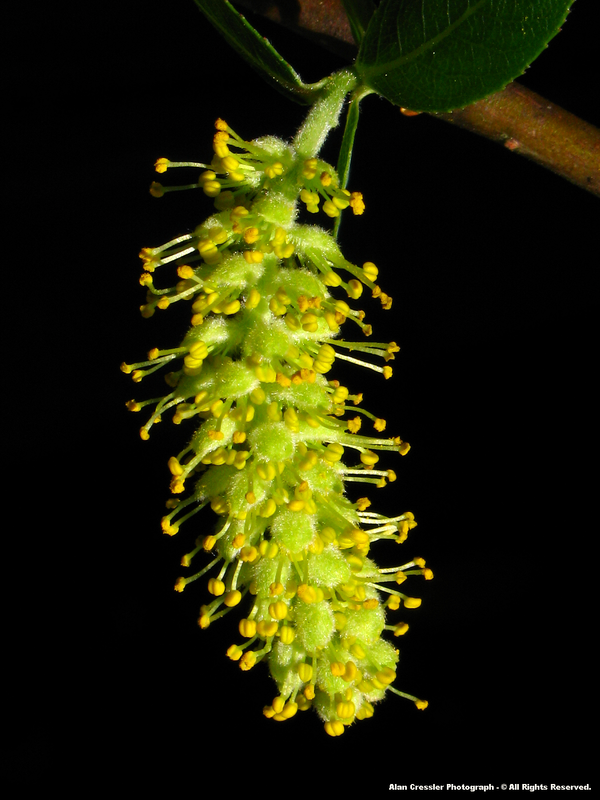 Red-twig Doghobble is a southern Appalachian endemic within the High Knob Massif area, to include the counties of Letcher & Harlan where its endangered in Kentucky. 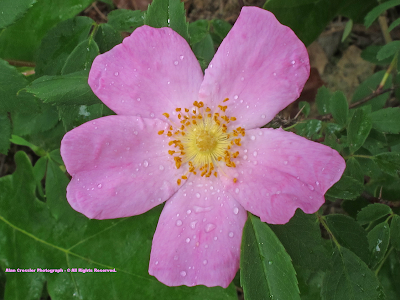 Prairie Rose, or Climbing Rose, is a critically imperled species native to Virginia. While having been so far found in half of the ten High Knob Landform counties, it has only been documented within six other Virginia counties. 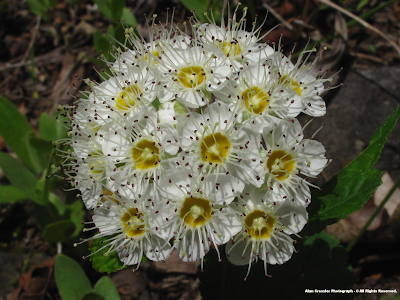 Virginia Spiraea is a globally threatened species that is a VANHP designated critically imperiled shrub in the commonwealth. It is Atlas listed for only the counties of Wise, Dickenson, Grayson, and Carroll in Virginia. Virginia Spiraea is endangered in Tennessee, North Carolina, and Ohio. 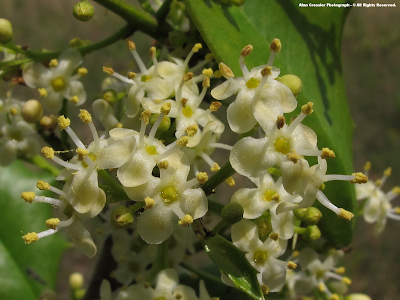 Snowberry is a shrub from the limestone woodlands of Lee and Russell counties that is a VANHP imperiled species. 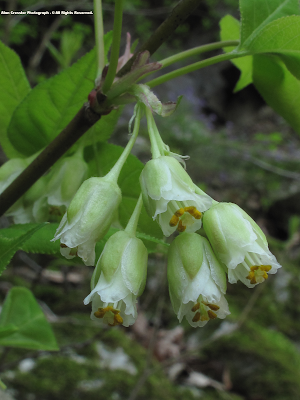 Endangered in the states of Kentucky, Illinois, and Massachusetts, Snowberry is threatened in Maryland and presumed to be extirpated from Ohio. Canada Yew is a rare, poisonous shrub that is known mostly from moist, cool microsites of the High Knob Massif area ( especially amid its leeside snow shadow zone ). It is believed to be a Pleistocene relic that was once much more widespread throughout the Appalachians. 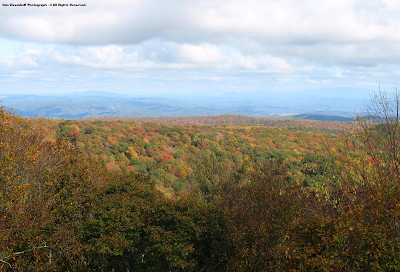 Today the High Knob Massif counties of Lee & Scott are near its southern most documented latitude, with only Pickett County in Tennessee being USDA listed with the species at a similar latitude ( along the Tennessee-Kentucky border ). 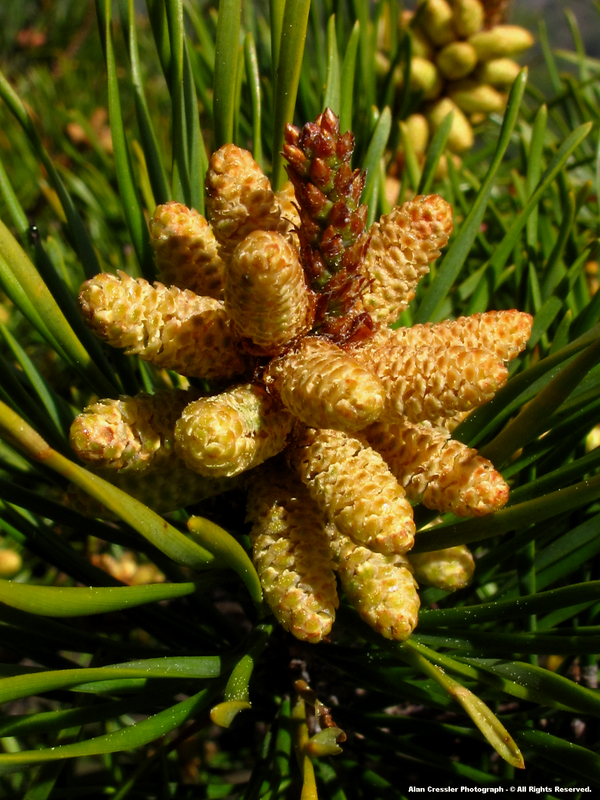 Northern White Cedar, or Arborvitae, is an evergreen tree of the karst terrain of the High Knob Landform counties that is locally rare. 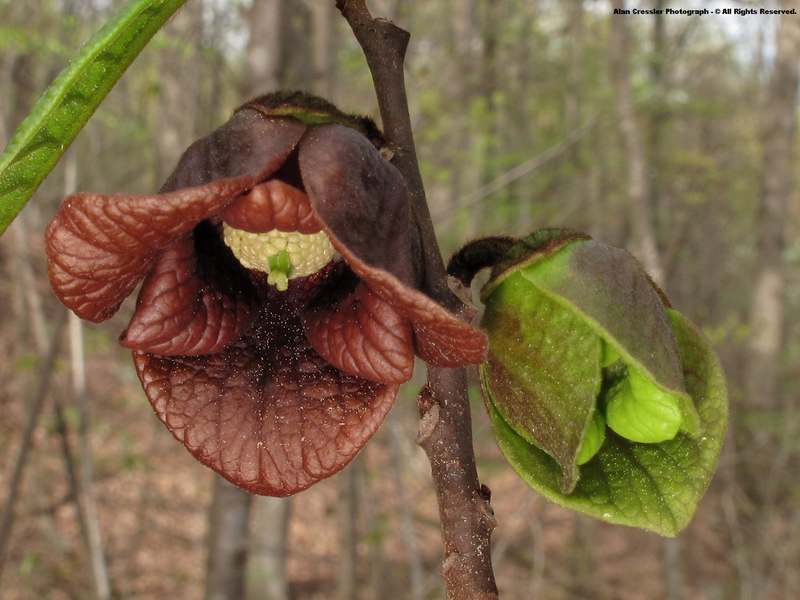 It is endangered in Indiana, Massachusetts, and New Jersey; it is threatened in Kentucky, Maryland, Illinois, and Connecticut; and it is a species of special conservation concern in Tennessee. 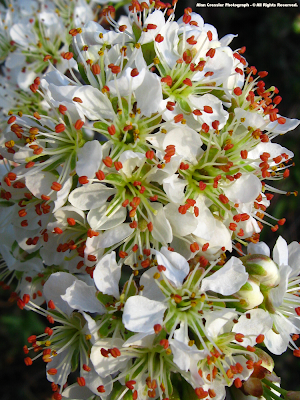 Southern Mountain Cranberry, or Bearberry, is a shrub of the mountains of western Virginia, eastern West Virginia, and western North Carolina, with limited ranges in Tennessee. It is listed as endangered in Kentucky. Southern Mountain Cranberry grows in upper elevations of the High Knob Landform, and requires mesic conditions. Possum Haw Viburnum occurs within all the High Knob Massif counties, but like many others is a species that becomes restricted in range outside the main core of the southern Appalachians. 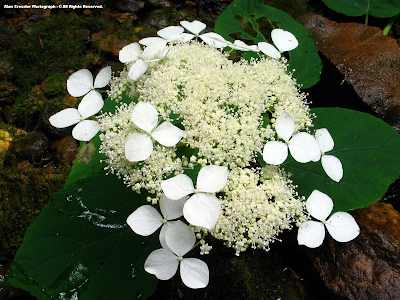 Possum Haw Viburnum is endangered within Kentucky, Indiana, and Pennsylvania. Alderleaved Viburnum, or Hobblebush, is a northern shrub which reaches its southern limit within the southern Appalachians. It is also an endangered species in Kentucky and New Jersery. 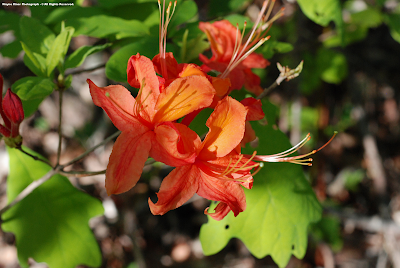 Mountain Maple is an endangered species in Kentucky, with a KYNHP critically imperiled to imperiled status. It grows in higher elevations of the mountains. 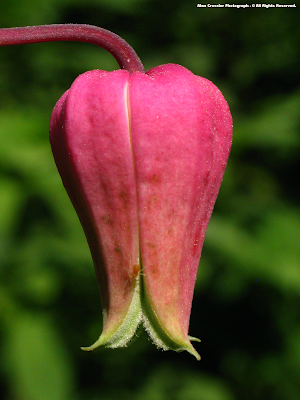 Allegheny Chinkapin is a threatened species in Kentucky, and is locally common within the High Knob Massif area. 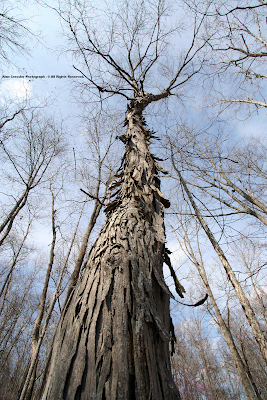 The once great American Chestnut is now a relic, and basically restricted to the understory as sprouts and small trees. Only very rarely does one find a native American Chestnut that will produce nuts. 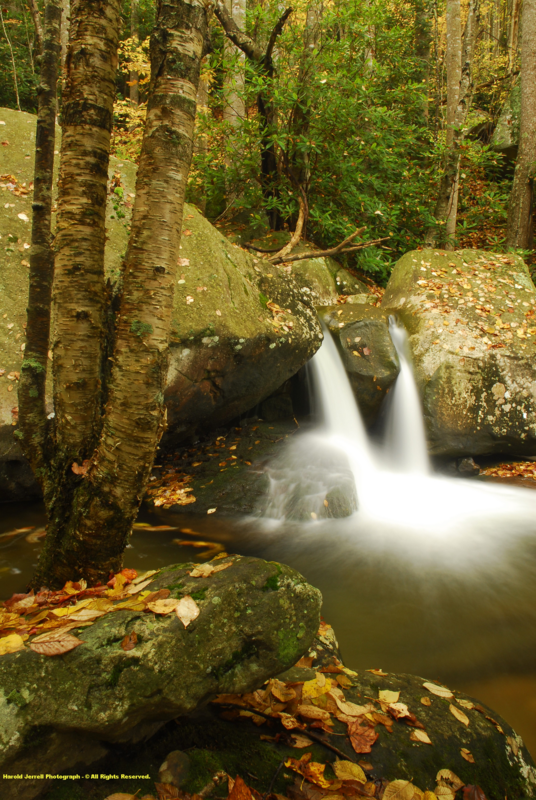 "The Joyce Kilmer Forest in North Carolina contains a much higher percentage of chestnut than is found in the typical mixed mesophytic forest. In the Great Smoky Mountains, mixed mesophytic forest occupies the coves & deeper valleys, chestnut is ( or rather was ) important over a much larger part of the mountain slopes than in the Cumberland Mountains." 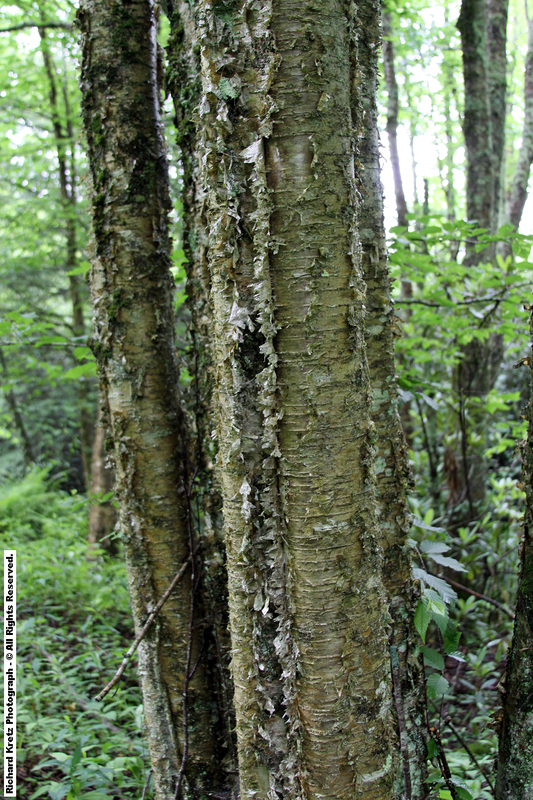 American and Slippery Elm's are also much reduced by disease, as are Canadian Hemlocks by the raging Hemlock Wooly Adelgid infestation. There are so many more tree and shrub species which could be commented upon across this landform. 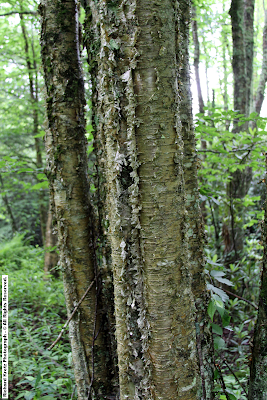 Black Maples, for example, are found to be more typical over the karst terrain of the lower elevations within Scott, Lee, and Russell counties, and are likely within the Powell Valley of Wise County. Trees intermediate in form between Black and Sugar maples, as previously noted, are reported by the Atlas of the Virginia Flora to also occur amid these karst valleys. 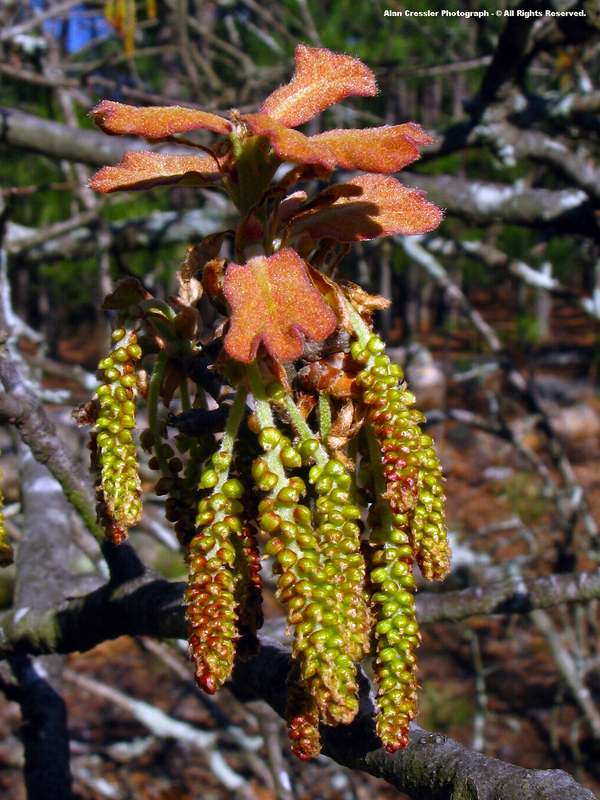 [ Black Maple is considered by Vascular Flora of the Carolinas to be very rare, but that is mostly due to karst topography being itself rare across western-central North Carolina where it is generally relegated to minor outcrops ]. "The differentiation which we see today is the result not alone of existing conditions, but also of past history, climatic and physiographic. The more or less gradual change in forest composition, from the area of mixed mesophytic forest outward in all directions, reflects the influence of past and present differences of environment." The complete picture of the High Knob Landform, as documented by this website, will be one which takes into account much more than just its very impressive flora! 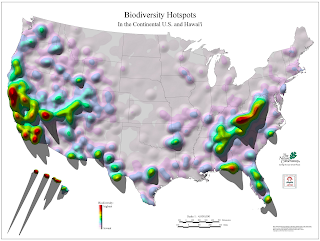 Data from State Natural Heritage Programs and their cooperators. Copyright © 2000, The Nature Conservancy. This Nature Conservancy map which places the highest peak of biodiversity in the continental USA over the High Knob Landform ( HKL ), and Upper Tennessee River Basin, for the rarity and richness of limited range species will be supported over time by information presented on this website ( including adjoining sections of the Upper Cumberland Basin into which the HKL and Cumberland Overthrust Block reaches ).